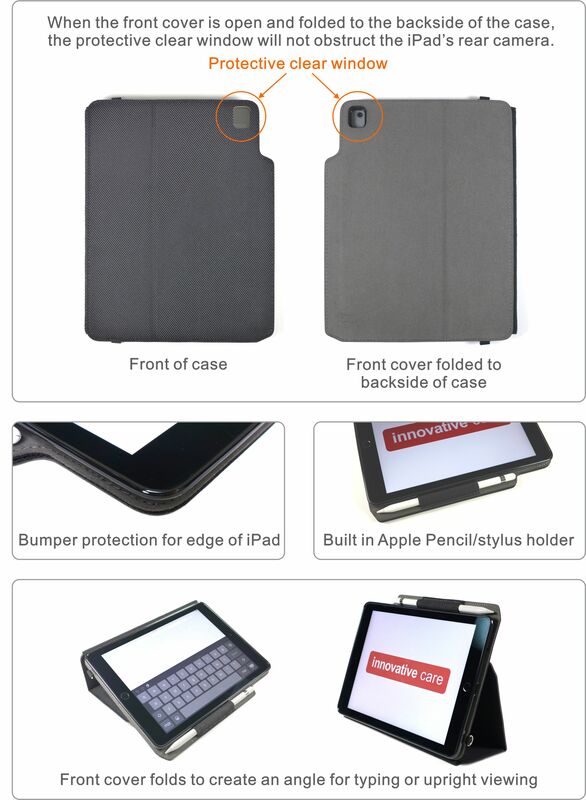 Now available is our new Model V3 iPad Case with Shoulder Strap for 2018 6th Gen, 2017 5th Gen 9.7″, Air 1 & 2. The Model V3 iPad folio carry case with detachable shoulder strap is a compact, lightweight, rugged and stylish professional-grade iPad case made with ultra-durable ballistic nylon material, impact resistant construction, built-in Apple Pencil/stylus/pen holder and premium satin nickel metal hardware. 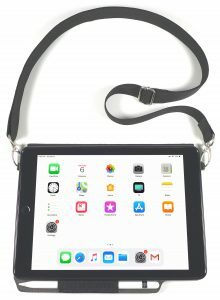 It’s great for people who use an iPad for work, study or travel because the shoulder strap allows hands-free carrying of your iPad. •Black color with gray inside lining.